Perhaps, the real ‘arms race’ in artificial intelligence (AI) is not military competition but the battle for talent. Since the vast majority of the world’s top AI experts remain in the US, China is starting out from a position of clear disadvantage in this fight. The New Generation AI Development Plan , released in July 2017, acknowledged, ‘cutting-edge talent for AI is far from meeting demand’. This initial program called for China to ‘accelerate the training and gathering of high-end AI talent’, recognised as an objective ‘of the utmost importance’. Indeed, Chinese leaders are determined to catch up through leveraging a range of talent plans and new educational initiatives. China’s AI talent insurgency is already underway. In accordance with this plan, China is creating new technical training programs, engaging in aggressive recruitment and constructing AI as an academic discipline. In early April, China’s Ministry of Education released  the ‘Artificial Intelligence Innovation Action Plan [for] Institutions of Higher Learning’ (高等学校人工智能创新行动计划). The plan calls for Chinese universities to become ‘core forces for the construction of major global AI innovation centres’ by 2030. To ‘perfect’ its AI talent training system, China intends to improve the layout of the discipline, strengthen professional development, improve the construction of teaching materials, strengthen personnel training, launch universal education in AI, support innovation and entrepreneurship, and expand international exchanges and cooperation. By 2020, China intends to establish at least 50 AI academic and research institutes, while also pioneering an interdisciplinary ‘AI+’ approach. 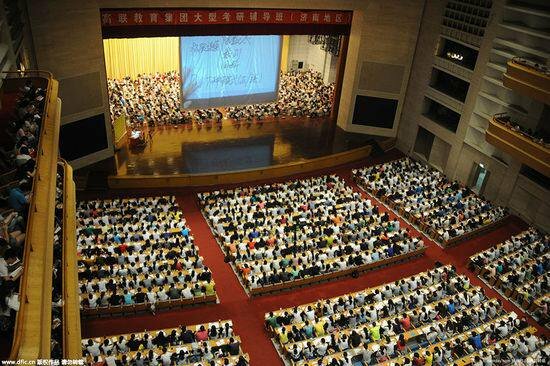 Within the past year, the Chinese Academy of Science, Beihang University and Nanjing University, among others, have already established new AI degree programs and institutes. The plan also calls for Chinese scholars to ‘enhance their international influence’ through taking up ‘important positions in international academic organisations’, while ‘actively participating in the formulation of international rules related to AI’. Accurately seize upon military–civil fusion’s deep development direction, development laws and development priorities; give full play to the advantages and comprehensive disciplinary characteristics of universities in basic research and personnel training; actively integrate them into the national military–civilian fusion system; and incessantly promote the two-way transfer and conversion of applications for military–civil technologies. Here’s an example of how China’s quest for AI talent is already on track to become a reality. This program will train  at least 500 AI teachers and 5,000 AI students in top universities in five years. In the future, this model might also be expanded to universities across China, scaling up the training of AI experts and potentially enabling a long-term talent advantage. It remains to be seen whether China’s quest for AI talent will be successful, but these active efforts reflect a clear recognition of the strategic importance of human capital in this domain. Elsa B. Kania is a Fulbright specialist at ASPI’s International Cyber Policy Centre and an adjunct fellow in the Center for a New American Security’s Technology and National Security Program. This post first appeared on her blog Battlefield Singularity. Image courtesy China Xinhua News via Twitter.